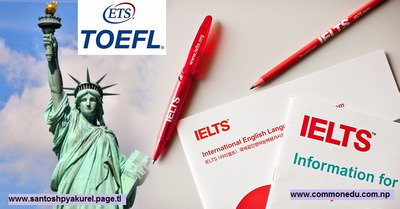 IELTS and TOEFL are needed when you are applying for scholarship abroad and sometimes exchange programs abroad. This article will tell you about IETLS and TOEFL, average band scores, and a few tips to get high band score. What is IELTS? What is TOEFL? The TOEFL is a language test for non-native English speakers, and is commonly used as an entrance exam at universities and graduate schools. Noticeably, the TOEFL offers only academic English. IELTS has two test versions that are academic and general training. Academic version is for those who apply for higher education or professional registration while general training is for those migrate to Australia, Canada and the UK, or applying for secondary education, training program and work experience in an English-speaking country. If you are most familiar with American English, TOEFL may sound good for you. If you are most familiar with British English, IELTS may be your good choice of deciding between the two. The band score required are different in term of degrees, programs, and universities. You should always check out clearly for both IELTS and TOEFL required band scores. By doing so, you could distinguish which one you need to go for. For instance, the required overall IELTS score of Chevening scholarship is at least 6.5 while the required overall score of Fullbright is a minimum score of 88 on internet based TOEFL, or 7.0 on IELTS. How to get high BAND SCORE? You should practice as much as you can! You can make your schedule to practice those four skills, such as reading, speaking, writing, and listening. Practicing more often could help you to find out your own tips on how to focus well on reading, how to catch up the important points in listening, how to finish your writing on time, and how to feel comfortable to speak when you are in speaking test. Getting enough sleep can boost your feelings. In order to feel good, you should sleep deeply and peacefully, so that you could concentrate well on your exam and you will be energized during the exam. You may believe in yourself, not to worry a lot that might affect to your feelings. Just believe in yourself and try hard! Till today, there have been 14891 visitors (25016 hits) on this page!